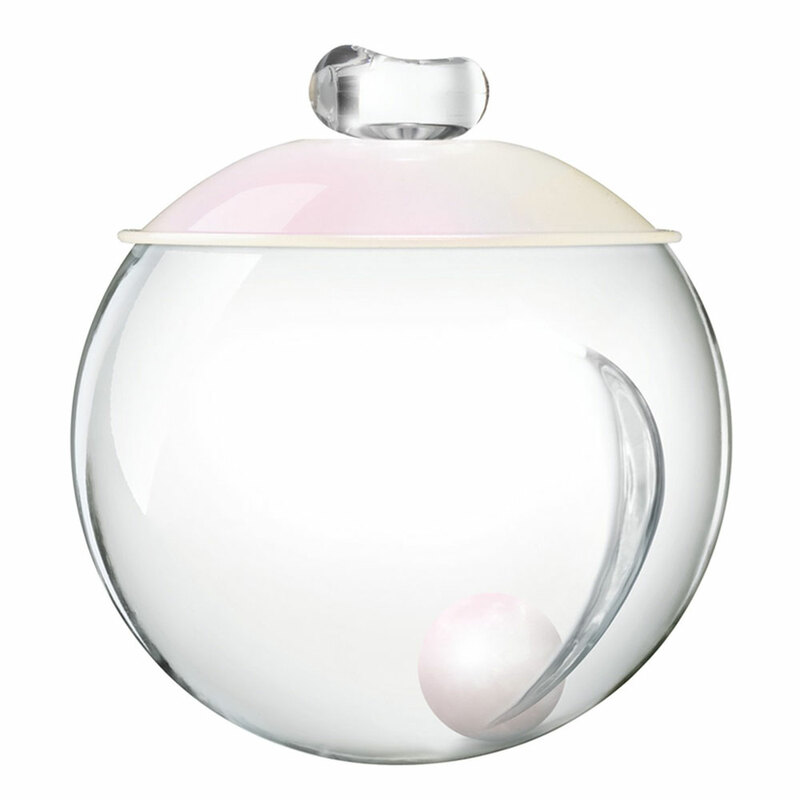 The crystal-like, spherical flacon, not only contains a scent with notes of coffee, musk, peony and coriander, but also contains a pearl! There are 39 reviews of Noa. I get mainly musk and peony scents, and the coffee barely noticable on me. It's very soft and gentle, clean yet creamy, somehow feels like Lanvin Oxygène without pepper. It dries down quickly into a body scent which is very pleasant in spring and summer. Unfortunately the longevity is around 3 or 4h, a little bit too short for me and the sillage is very close to skin. By the way, the bottle is funny with the little pearl swimming within. The colour and the tranparency are well chosen for the perfume. I'm never sure if I really like this one. It is certainly pleasant, clear but not over simple. However, I, the lover of all things crisp and sparkling, find this a bit too sharp (aldehydes?) at the beginning. It never becomes a love for me, but I wear it sometimes because it has something about it. I think it may never be love because it just smells perfumey to me, definitely soapy, and has something of what I'd imagine a French laundry would smell like. In fact, there's something very French about it. It's incredible value for money too! To me this is simply stunning. It's one of my current favourites even though it is not the kind of fragrance that I would usually gravitate towards. There is something so calm, soothing and ethereal about Noa. It's soft, forgiving, clean and very feminine, innocent but not girly. I was concerned about trying this when I read the coffee note because I can't stand the smell of it but I couldn't detect it at all. The white musk is prominent, along with jasmine, lily of the valley and peony. Very good projection, very good lasting power (nothing usually lasts more than a couple of hours on me but this remained detectable all day). Lovely is one word to describe the presentation of this perfume.to me it has sentimental values.i can imagine someone of more romantic bent or more classical femininity enjoying it a lot.it is evocative of a bright spring day. Romantic,Clean, Soft,Classic, Fresh,Floral,Unobtrusive,Delightful and Soothing. The opening is sheer pleasure to the senses of peony,freesia,green notes and above all musk on a soft and delicate heart notes of ylang-ylang, jasmine and lily-of-the valley.finally a soft and clean base notes by sandalwood, coffe and vanilla makes feel like in heaven and gives you feel young and pretty.i expected something deep and rich of this composition. It is still pretty and innocent enough for a very young girl though perfect for wedding day and any romantic moments.it is also light enough to wear to the office or anywhere where you come into close contact with others as it is not overbearing.suitable for Springtime.it is a all purpose scent.if you are looking for a safe and not overpowering everyday scent,you may want to consider this. Noa is a very beautiful minimalistic fragrance. Quiet and delicate, I get a clean white musk paired with milky florals and a touch of coffee. The longevity is average, but Noa will seem to wilt on those use to heavier fragrances. The sillage is very intimate making this more of a skin scent. Noa is made for women who wear fragrance for themselves. My husband and I have totally different noses and a lot of what I like, he hates and vice versa. We were in a perfume outlet when he discovered Noa and told me he like the scent. It is one of the very few we agree on that he likes on me. That right there would be reason enough to like this perfume but I fell in love with it immediately, too. While I am not a scent specialist as so many of the reviewers seem to be, I am a perfume-aholic. I have many favorites, many bottles and have had a love affair going on with scent for many years. There are only three scents that I will always have in my perfume wardrobe; Noa is one of them. All I can say about Noa is that is is light, a perfect daytime scent, an excellent subtle evening cologne, and every single time I wear it I get compliments. People often stop and ask me what I'm wearing so as much as people are nay-sayers about this light scent, I love it. 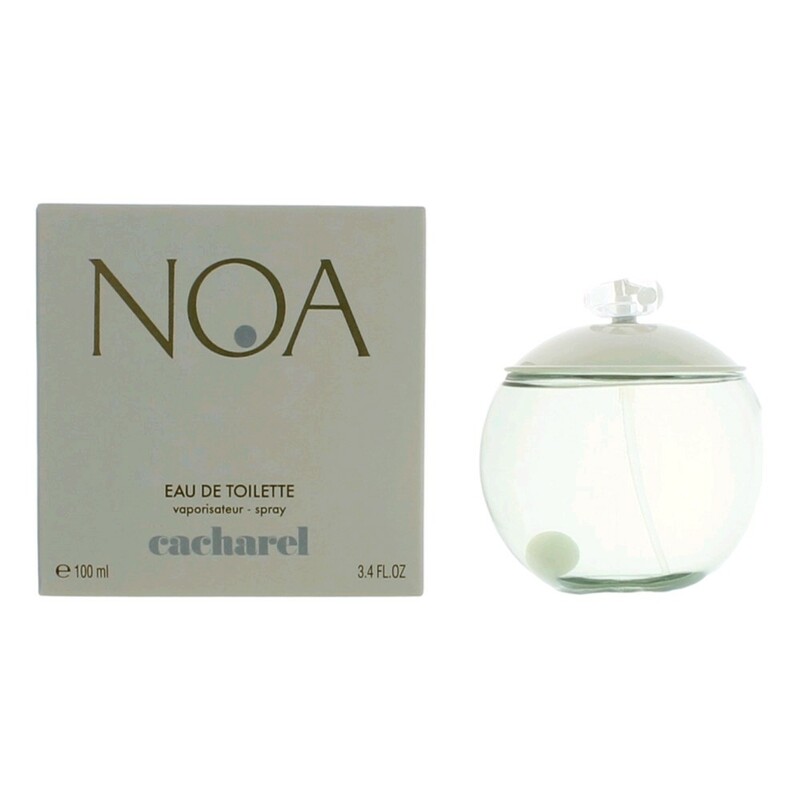 *Noa* Cacharel 3.4 oz 100 ml Women Perfume EDT NEW in SEALED Box! 35% FULL!! 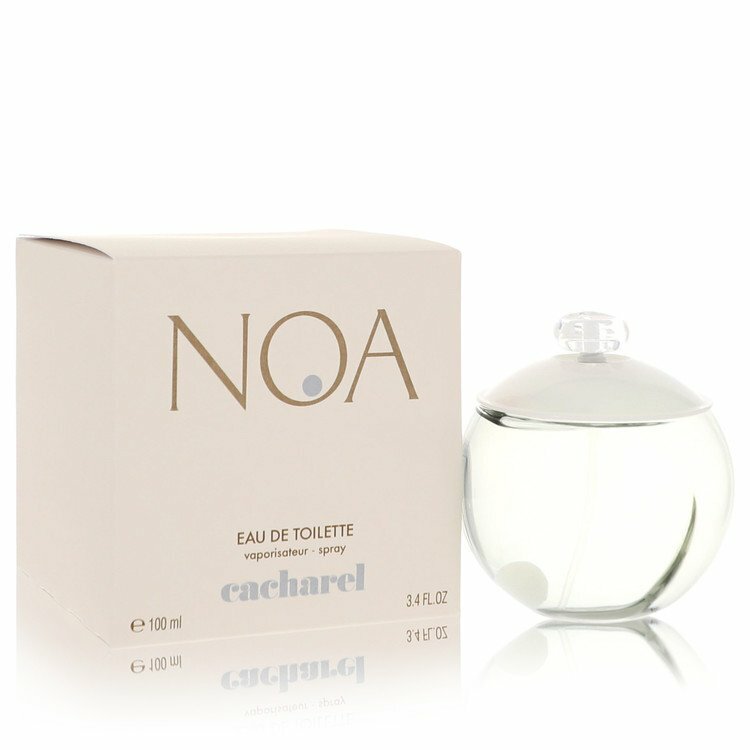 3.4oz Cacharel Noa Eau de Toilette!!! There are no member images of Noa yet. Why not be the first? Luca Turin's thoughts on Burberry London and Cacharel Noa? New: Noa Perle and Amor Amor Elixir Passion from Cacharel.